In our last post we covered all there is to know about how to get featured on Apple’s Featured Tab (and how to maximize this opportunity), but that is not the only way Apple can feature your app. Being in the featured section is great, but having a featured app page on top of that is even better. 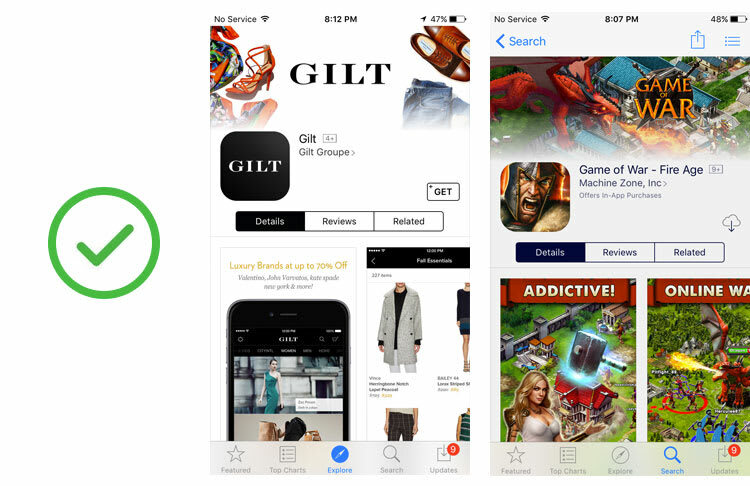 Featured app pages are Apple’s way of giving your store page a unique feel that’s customized towards your brand. 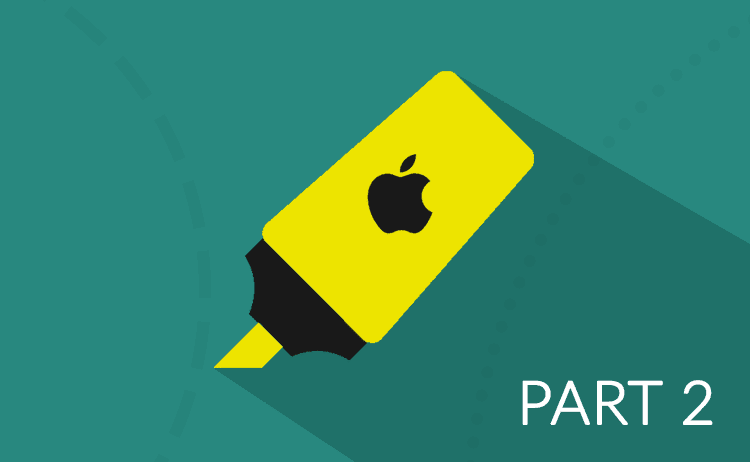 Featured pages have proven to significantly increase CVR as it’s a strong acknowledgment by Apple’s editors that your app is download-worthy. You can read all about how being featured affects app downloads in App Annie’s recent report. Similar to being placed in the featured tab, there isn’t a formal process for getting a featured page. Having said that, it’s clear that Apple is leveraging this feature to further boost growth for trending apps, indie developers with high quality apps, and other apps that have established positions as leaders in their category. A lot has already been written about online consumption habits. We all know that the attention span of modern day consumers is shortening by the day. Smartphone users specifically are always on-the-go, in-between tasks, and have very little patience to invest in each stimulation. This is also true in the App Store – 60% of your users evaluate your app store based on First Impression alone, without engaging with the page at all! On average, it takes these Decisive Visitors 3 seconds to decide whether to bounce or install. This fact receives even higher significance when your app store page is a featured one. Due to the different structure of a featured app store, as depicted above, the First Impression of the app store completely changes. While the Product Page Artwork and the Editors’ Notes (if they exist) are strong branding elements, they push the Screenshot Gallery below the fold, thus distracting the user from the actual essence of the app. Considering most of your users are decisive ones, a featured app store can be a curse disguised as a blessing if you misuse it. 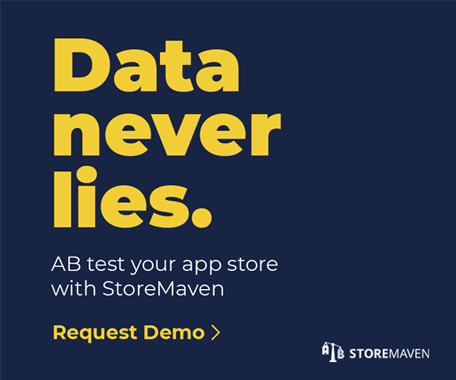 Luckily for you, StoreMaven has over 150M users tested in our platform, enabling us to master the art of ASO. With top developers such as SEGA, Mozilla, Scopely, Zynga, Kabam, EA, Lightricks and Open Table relying on our platform, we’ve come to set some guidelines for designing a killer featured app store that will ensure you maximize conversion. Your Product Page Artwork becomes the main visual asset on your app store page – make sure it strongly and clearly represents your app. A common mistake is to using branding-oriented Product Page Artwork. Apple’s quality stamp in granting you the featured app privilege is brand empowering enough. Try using a image that will focus on your app and its well-known features. Repetition is one of the biggest mistakes you can make with a Featured Page – if your Icon, Product Page Artwork and first images all show the same main features (e.g. the same game character), users have no incentive to engage with your page and learn more about the app. This is a great opportunity to use colors from your brand palette, creating a holistic design to your app store. 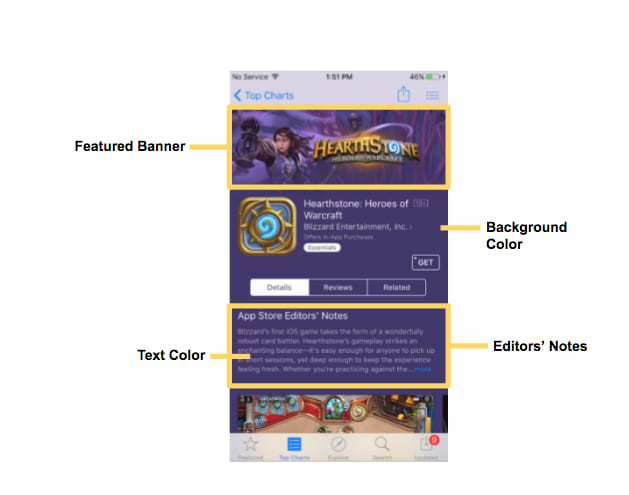 Make sure the background doesn’t clash with the rest of the app store assets, which makes it harder for the user to read the text or takes attention away from the Screenshot Gallery. There’s always the question of whether to use a horizontal or a vertical gallery, but in a Featured App Store, this question is more relevant than ever. There is no absolute right or wrong here, as it depends on many factors such as the Screenshots artwork, the correlation with other elements in the App Store (Icon, Product Page Artwork, the first 2 screenshots and the background) and whether or not you have Editors’ Notes. In order to figure out what’s right for your app store, we recommend testing several hypotheses and analyzing user behavior accordingly. What could possibly be negative about Apple choosing your app to be featured? Well, the Editors’ Notes, along with the Product Page Artwork as mentioned above, completely take over your app store’s First Impression. While in a regular app store, a user can get a glimpse at your Screenshot without having to invest any time or effort. However, suddenly your featured page becomes a drag and potentially discourages users from downloading your app. You can’t really control whether your app store includes Editors’ Notes or not. However, you can take action in order to reduce the harm that can be done. Your whole strategy of designing the Product Page Artwork can differ once taking the rate of users that actually scroll down the page into consideration. If you have a large rate of Decisive Visitors (which can be easily verified by sending traffic to StoreMaven’s platform), we recommend using artwork that entices users to scroll down the page. Repetition is one of the biggest mistakes you can make with a Featured Page. Try and take best advantage of each asset! Being featured by Apple, whether by being in the Featured Tab or by having a Featured App Store, doesn’t ensure you will improve performance. 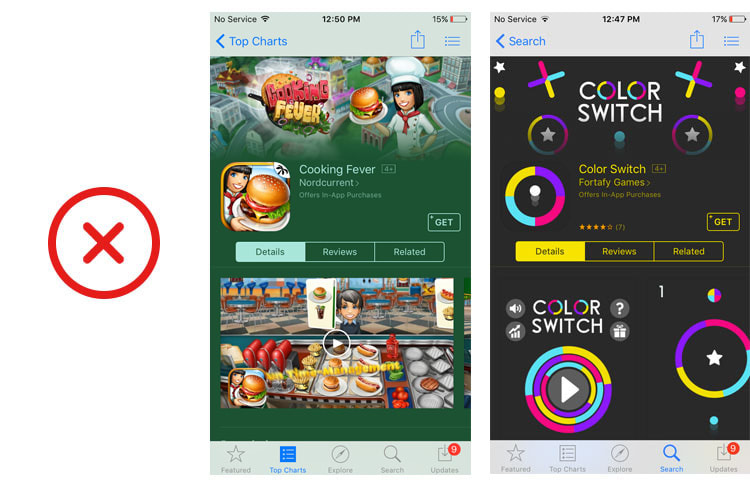 A Featured App Store creates a new set of challenges by having a totally different design. We recommend testing different designs that take into consideration all behavioral changes mentioned above. If you need our feedback and testing recommendations, don’t hesitate to reach out to support @storemaven.com. Well done Yair Pur – awesome resource and suggestions. Glad to know all practices to take the best advantage of the featured page. Thanks for your detailed explanation of featured page app store assets. Very well crafted article Helit! Investing money on Application Development services is not just enough. Stunning UI/UX or functions won’t guarantee the success of an application. It’s how you place right in the market, which is more important. Great post on Featured App Store Page. Thanks for sharing this info with us.